EducatorsHandbook.com is designed to allow you to quickly document student behavior while collecting important troubleshooting information about each incident. 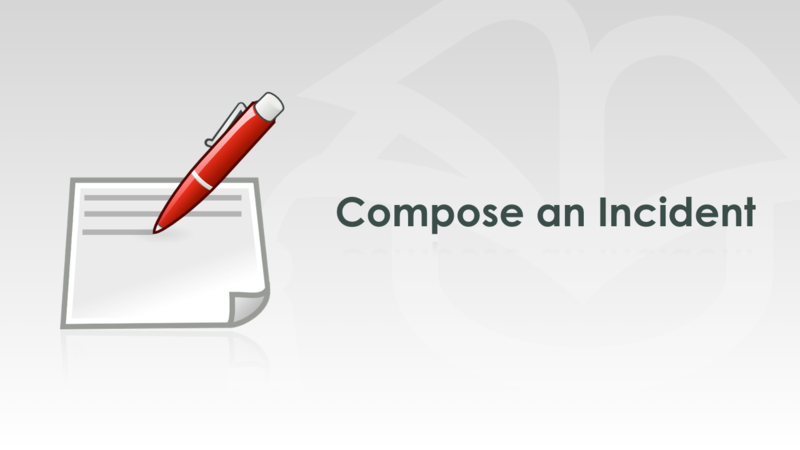 To create a new incident, click the Compose button in the menu and complete the new incident form. Select Office Referral if you are referring a student to the administration, or Minor Incident if you are documenting an action that you have taken directly. Select the date and time the behavior occurred then specify the location, academic subject, instructional arrangement, and offense. Provide an objective, factual description of the incident, including: a record of parent contact, steps or interventions taken to change the behavior, and other pertinent information. Finally, add one or more offenders to the incident. If you are entering a minor incident, you will also supply the action or actions taken for each offender. When you have completed the form, click the Send or Save button in the toolbar. If you entered an office referral, you will receive an email confirmation when an administrator processes the incident.